Since November 2017, Family & Childcare Resources of N. E. W. has been doing a monthly resource day for families in need. 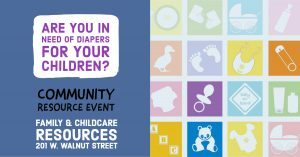 We provide diapers sizes newborn up to size 6 at the event along with other donations and resources. 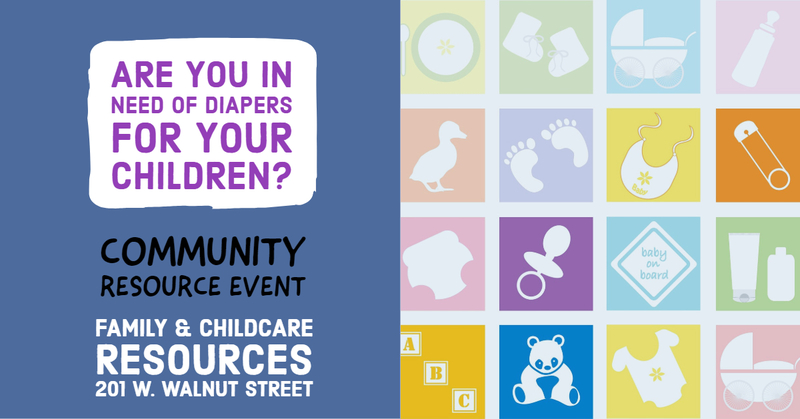 We’ve partnered with Jake’s Diapers to make this event possible. Our June event was our most successful with helping 117 children with diapers. 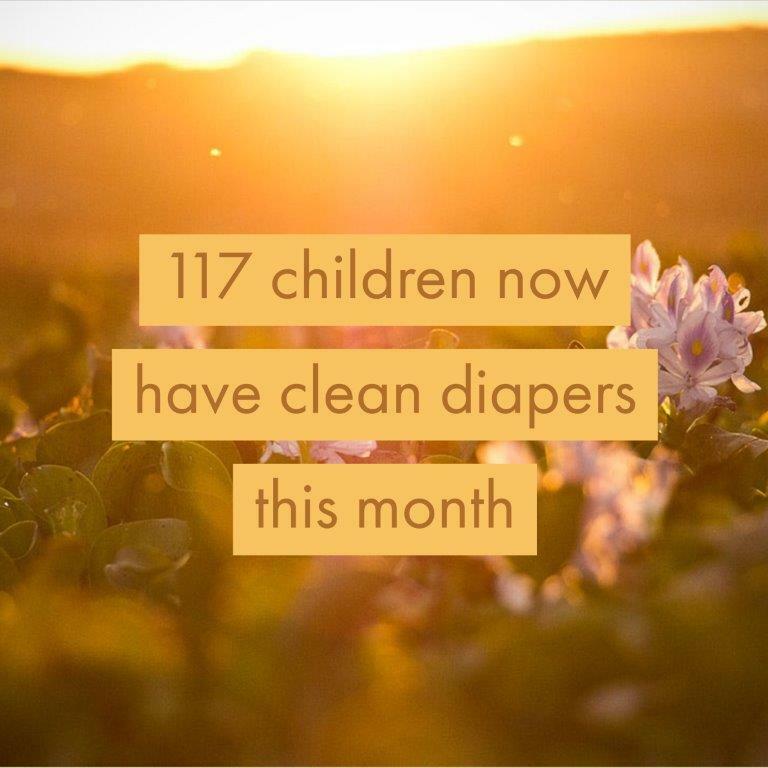 To date with the help of Jake’s diapers we’ve helped more than 624 children with clean diapers. You will be asked to complete a confidential form along with a sign-in sheet for the event. The event runs from 1-4 PM at Family & Childcare Resources of N. E. W.
Parking is available in the back of the building through Howard Street. If you are pregnant, we do supply diapers one month prior to your due date. You can live outside of the City of Green Bay to get diapers. You do not need to be on any federal or state programs to receive diapers, but you must be in need. What other things do you have besides diapers? Depending upon the month, we may have wipes, clothing, books or other items based on donations. If you have questions about this event or would like to make a donation, please call us at (920) 432-8899.